Content marketing is a great way to develop customer relationships, increase brand awareness and target your audience with precision. You’ve given it a go for a while, with some decent results. You know by now that content marketing isn’t static. Things are always changing. How will you stay ahead of those changes? You must learn how to predict upcoming changes by recognizing the events that initiate them. So, here are 7 changes in content marketing that will impact your business in the next year, along with the reasons why these changes are taking place. By now, we assume that you’ve done the work to make sure your content can be consumed by web users. Make sure you remember to adopt the content for mobile devices as well. However, this isn’t about what you should have done. It’s about what you need to be doing in the future, and that is producing your content with mobile users and their devices as your primary concern. Why should you focus on mobile users? 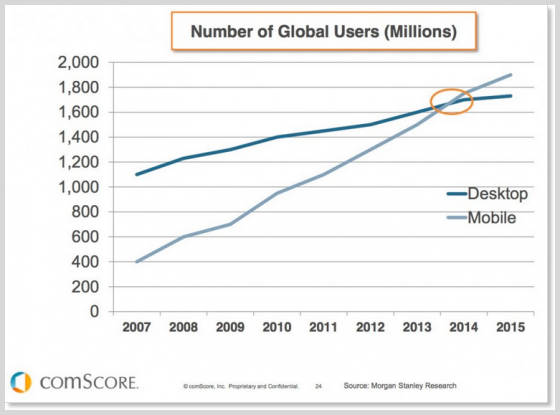 Look on this chart from com score – mobile users are surpassing desktop users. To begin, it is mostly a matter of numbers. The percentage of users who are using mobile devices to access content is increasing. The number of desktop units and laptops that are being sold is decreasing. Isn’t it clear where your focus should be? 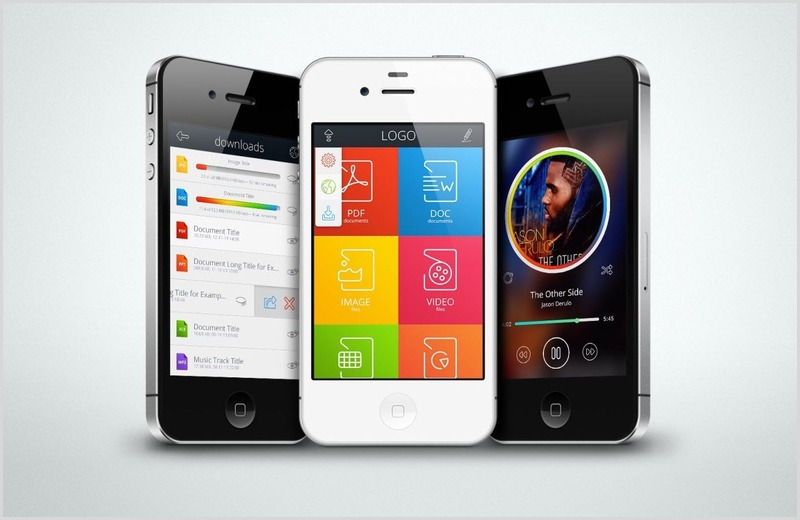 So, how should you design for mobile devices? The answer is easy. Think touch screens, and then design accordingly. If you are intimidated by this, try breaking things down into actions that can be easily done on a mobile device with a touch screen interface. You can always find guidelines for designing for mobiles from google and also check your current mobile friendly status. Just as is the case with the increasing use of mobile devices, visual content is important because it is what customers want. The clicks prove it. If you want to stay on top of content marketing in the next 12 months, you will need to include videos, pictures, graphics, and other visual based content on your website and in your blogs. Ideally, at least some of that content will be interactive. Many website owners and bloggers report that they receive the most positive feedback from customers after they publish content that is specifically written for them. This could mean changing your focus from utilizing generic content, to writing content that specifically addresses the interests and concerns of your customers. If your content has mostly consisted of shared content from other sources, it might be time to consider producing some of your own. Who knows, with a little bit of knowledge and a few viral content creation tips, it could be your content that makes the rounds! How do you begin personalizing content? If you know what your customers are seeking from you in terms of the product or service you offer, you’re more than halfway there. For example, if you own a chiropractic clinic, you may wish to produce content that focuses on spine health and the ways that your customers can help increase their mobility, rather than publishing generic content on ‘well-being’. 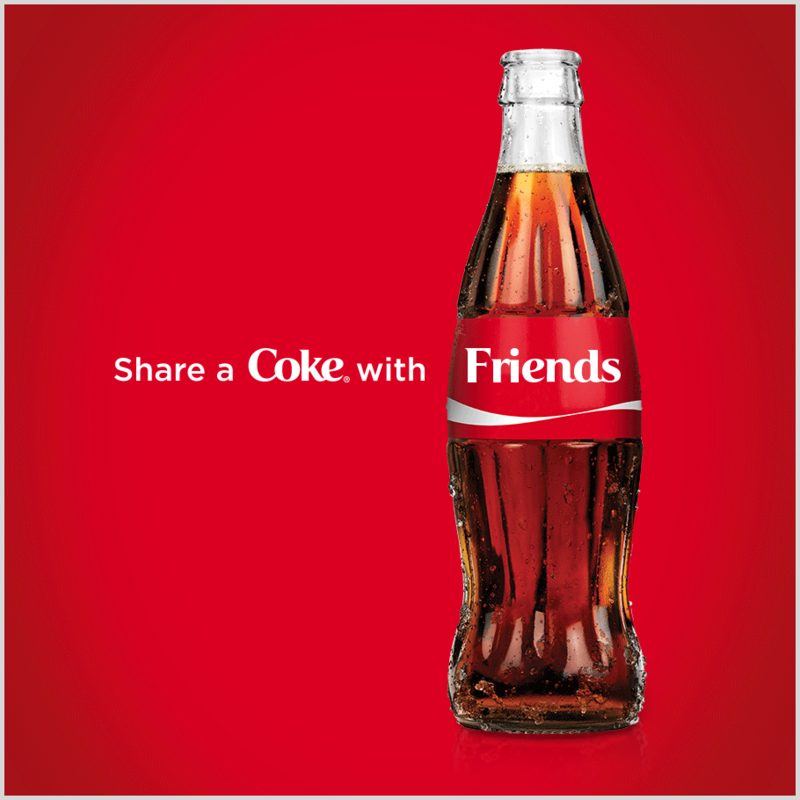 Coca-Cola is a big brand that do their best to personalize content for their target audience. If you need further help, try and search the internet for content marketing examples. These will give you an idea of how to format original content, and where the content should be used on your website. 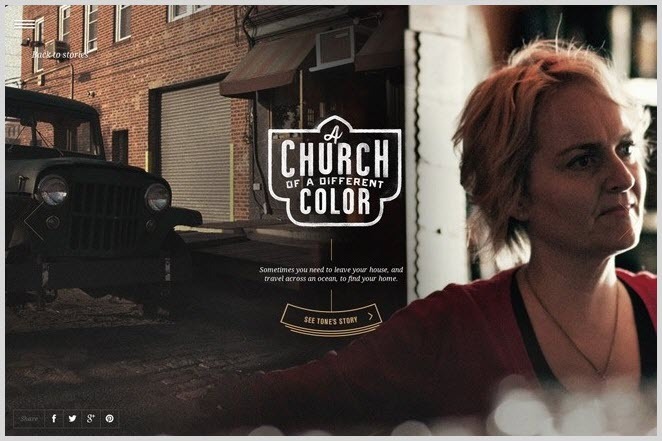 Not every industry lends itself to collaborative marketing, but when it does it works beautifully. Collaborative marketing is when two or more separate entities work together on a marketing campaign. In most cases, this happens when the entities involved have similar target audiences, but don’t have competing interests. Collaborative content marketing requires cooperation, coordination and communication between all parties. You must identify the business with which collaboration makes the most sense, get them on board, and then create content based on that partnership. This can be as complex as investing in an ongoing marketing campaign, or as simple as featuring giveaway of each other’s product in a blog post. A recent example is JackDaniels Barstories. When content marketing was an unproven concept, the only reason that companies were willing to take a chance on it was that it was something they could try out for little or no cost. So, businesses began creating Facebook accounts, they became active on Twitter, and they began publishing blogs. They initiated email marketing campaigns, and started online newsletters. Now, in order to sustain these efforts, businesses are going to put more money into what is now a proven concept. We’ve already discussed the influence the use of mobile devices is going to have on future content marketing efforts. But even desktop users are drawn to clickable and interactive content that doesn’t need them to read a ‘wall of text’ before they find the information they need. Learn more about improving your call to action elements here. 7. 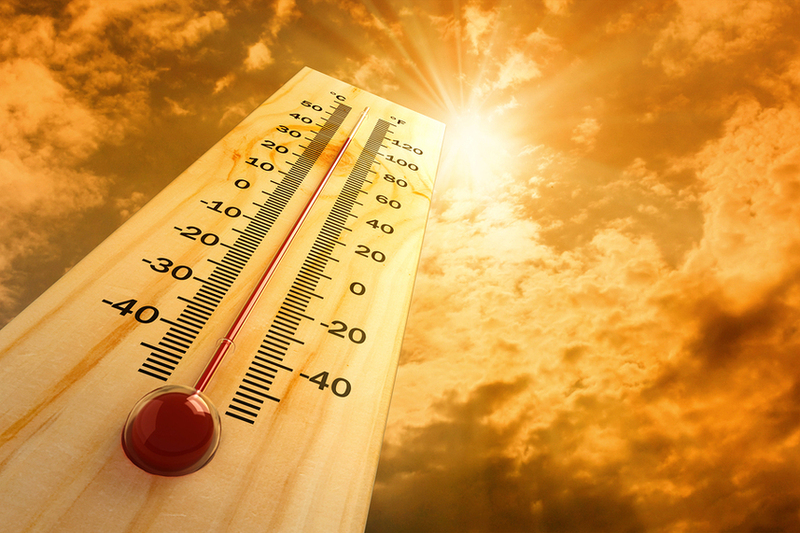 Analytics will be hot – literally! Heat maps are visual based analytical tools that you can use to determine which areas of your website are ‘hot’. In other words, where are your customers are clicking and reading. Plus what they are ignoring. 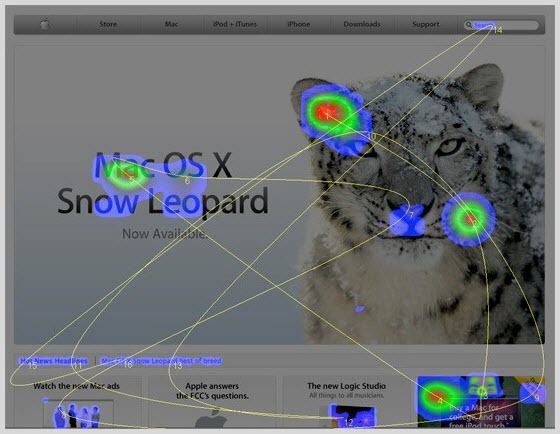 Unlike other analytics tools, heat mapping software creates a real time overlay on top of your website that you can view. As the software works to analyze customer behavior on your website, the graphics overlay changes. The more popular areas of your website become darker, while the areas that are largely ignored remain lighter. How can you use it to your benefit? When you use heat mapping, you have the benefit of a real time analysis of the way that your customers are really using your website. Analytical information such as how many visitors come to a page or which links are clicked on most are valuable, but they don’t provide as much information as a graphical representation. Some software even presents video based content indication where your customer’s mouse travels as they navigate your website! Once you have this information, you can make the adjustments you need. This could include altering the type of content you are featuring, rewriting your titles and headings, moving ads, or changing pages from infinite scrolling to a click to progress format.